About two years ago, Ed Richtsteig moved to the area from Batavia, Illinois. He retired as a Dupage County Sheriff’s Deputy. His wife Beth, daughter Alaina, and four dogs live in Yulee, Florida. A self-taught photographer, Ed has a passion for high dynamic range imagery also known as simple HDR with a preference for motorcycles, motorcycle events, classic autos and landscapes. Within days of moving to our area, Ed began exploring new photo opportunities in northeast Florida. He looks forward to remote viewing of the Chicago Bears and Blackhawks, and pursuing his continued quest for the best pizza the area as to offer. We thank Ed for his contribution to the Fernandina Observer. 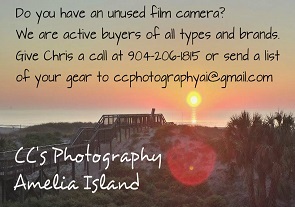 Photographers can submitted their photos to [email protected] Fernandina Observer Incorporated is committed to protecting the copyright and intellectual property of others. Content provided to Fernandina Observer must be content that does not violate copyright or intellectual property of others. April 20, 2014 1:00 a.m.
2 Responses to Amelia Island revealed . . . Thanks Ed for the grand photo of our magnificent downtown Post Office. You have captured the feeling of the wonderful sunlit lobby area…please do take more photos of the interior of this building. We need to be reminded constantly that this is a treasure that we must save. We won’t fully understand what we have—–until it is gone. Lets Hope the City Spends some time figuring out how to save this. It will never be replaced should we loose it.